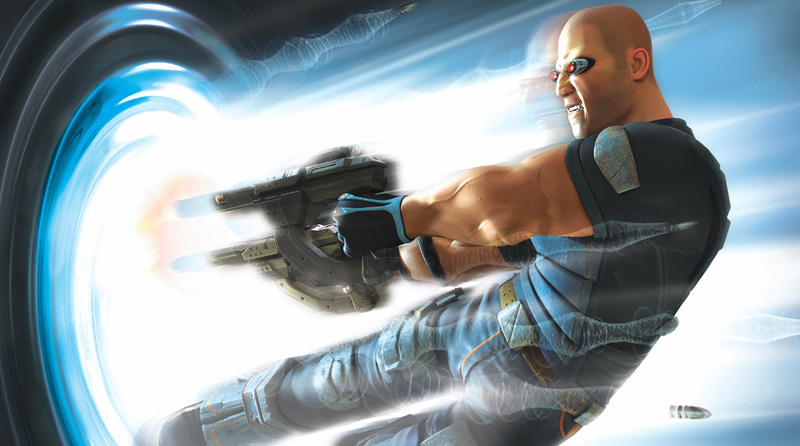 TimeSplitters Rewind is a fan-made remake of Free Radical's popular FPS title, and there's a very slight chance it could be coming to the Wii U.
I'm not ruling out the possibility, but I wouldn't get your hopes up. I hope I didn't sound rude. I've been replying to so many people! But it is true though, I'm not ruling out the possibility of a Wii U release. I'm not sure how that would work out in terms of controls and such, but it could be really interesting. Would you like to see this reboot on the Wii U, or will you be picking it up on the PC or PS4 when it eventually launches? Drop us a comment to tell us. So how does this work, does no one own the rights or something? @Warruz Crytek own the rights and they're supporting this venture. Heh, I'm getting my hopes up anyway. I kinda like this guy. @DimetriWarrior Sameage, besides any fps with an xbox prop, i waste all my ammo on shooting it. I hate you Xbox. I miss the series... time to give TS 2 & 3 a spin on my Wii. Too late, hopes are already up! @DimetriWarrior MS won't allow cross platform play, hence no Xbox One version. Fair play to Crytek for supporting this and not shutting it down 'because they can'. I played a lot of the first two TimeSplitters back in the early PS2 days, and thought they were excellent. You could see that Goldeneye and Perfect Dark were in their DNA. I've not played Haze, but I know it's not had good reviews, but I think by this point there's very few of those Goldeneye and Perfect Dark guys left at the studio. Having said that, I'm not sure I'd be interested in a HD remake. Things have moved on a lot since those days. So...why wouldn't come to the Wii U? It doesn't look all that good graphically, so that's definitively not the problem. "I'm not sure how it would work with controls and such"
@Melkaticox Because it's a group of fans doing this in their own time. A remake of the original? It really took off with the mission editor in TS2. I hope that this is included in the remake or I'll be skipping out. For Playstation? Never saw that coming for this title. "I'm not sure how that would work out in terms of controls and such." Ill definitely support this venture if it is comming to wiiu. After all this game has aged better than halo. @yuwarite maybe he wants to add some touchscreen functions but they don't need to much just let us build our maps using the touch screen and it could actually be the best version. I'll be honest... I'm indifferent at this point. @Peach64 I saw an interview with one of the free radical (FR) guys who said Ubisoft were to blame for Haze. FR apparently had a totally different game made, UBi said they wouldn't release it as they didn't know who to market it at and forced FR to remake it all in about 8 months. HAZE is a bad game, and that may explain why? It was annoying though, as due to the performance of that game, their Star Wars Battlefront 3 contract went up in smoke and even though the footage of it looks incredible it will never be played . The TS series was alright, but they really only hold up as decent. There are certainly far better FPS from that era (Team Fortress Classic, Starsiege: Tribes, Counter-Strike) which have attempted updates and failed at improving the originals. Most importantly, if they when or if they decide to include the hallowed mission editor, the Wii U would be the best option. Considering the clunky controls in the past, that might be the easiest way to improve one of the TS series' standout feature. Of course, Wiimote controls would also be a massive boon. I know many have trouble adapting, but if nothing else, COD BO2 has taught me the unquestioned superiority of that scheme (minus the terrible autoaim, which should always be immediately turned off, of course). If they only plan to replicate the past without significant upgrades, then why bother? These games were only above average in their day... Not to harsh on the project, but the Wii U is the only other platform than the PC that offers several obvious upgrades. Obviously I haven't even mentioned split screen, of which the originals were king. Wow. It's so weird seeing that barebones version of the snow level from Timesplitters 2! That was such a great game and I have so many memories of playing multiplayer (both co-op and competitive) with friends. I'd definitely pick this up if it came to the Wii U as I don't plan on getting a PS4 any time soon and I don't have a gaming PC. It's also nice to see that Crytek is allowing them to create this since they're unwilling to invest in that sort of risk right now. I loved Timesplitters and would definitely get a decent new version. @Melkaticox Because it's the most despised genre of Nintendo fans. Oh please let there be Cat Racing like in the third one. Timesplitters was like my favorite 3rd party game ever on the GameCube. The most memorable part of TS2 was The Anaconda minigame. So, where's the Rainfall campaign for this? According to EA, the most despised Genre is sports. Just played Timesplitters 2 a few weeks ago on my Wii/Gamecube input. I think it has aged pretty well. Took me a moment to readjust to the controls but I was fine after that. I hope that this remake won't just be an average FPS only with weapons, maps, and characters from different timelines. That's not why I bought the Time Splitters trilogy. I bought TS:FP because of the MANY humerus characters, the hilarious yet spectacular story line, and the mind blowing game modes? Weren't there like 13? Not to mention the beautiful OST, Arcade League, and elite Challenges!! if you don't love timesplitters more than god/family/country, i cannot love with you. OMFG WE NEEEEEEEEEEED THIS ON WIIU.PLEASE I BEG OF YOU!!! Sigh, another dev wanting the Nintendo audience to port beg. If you don't want my money I'll give it to a dev that does. Just put the trilogy in the eshop. That shouldn't be too hard. Ah, one of my all time favourite series. I still have TS2+3 for the GC. Personally I'd be happy with a HD remake of those two games with wiimote support..
there are tons of fps out there, why bother with this one? it looks so outdated and Im not only refering the graphics aspect of it. Hey, that was one of his replies to me! I didn't think he was being rude, but it really didn't hurt to ask about a Wii U installment. Too late, unless I could time travel, the damage has already irreversibly been dealt: my hopes are way up. I've been hoping for a new Timesplitters on Nintendo since Future Perfect. So it was in fact already too late. Didn't even know this existed, but man, that picture looked amazing. Thats what makes the series so great. Whats not to love about playing flame tag with snowmen, monkeys, and calamari? The AI is a bit wonky, but I think that kinda adds to the humor. The game doesn't take itself seriously so why should we? Timesplitters 2 & Future Perfect I loved them on the Gamecube! Loved the level maker in 2. I made so many horror inspired levels. LOVED this series. great news.